On Wednesday 11 February 2015, we visited one of our favourite UK-based animal charities, Medical Detection Dogs. As we manufacture their distinct black and red striped leads and collars, we wanted to find out how their work affected the everyday lives of vulnerable people. Medical Detection Dogs is a charity based in Great Horwood, that works in close partnership with researchers at NHS Trusts and universities. Their aim is to train specialist dogs to detect the odour of human diseases. They do not receive government funding and rely completely on public donation to fund their work. Once we arrived at their headquarters, we were warmly welcomed by both the charity’s staff and their beneficiaries. We spent a little time talking to two beneficiaries in particular, Carolyn and Claire, who both suffer from Type 1 diabetes. 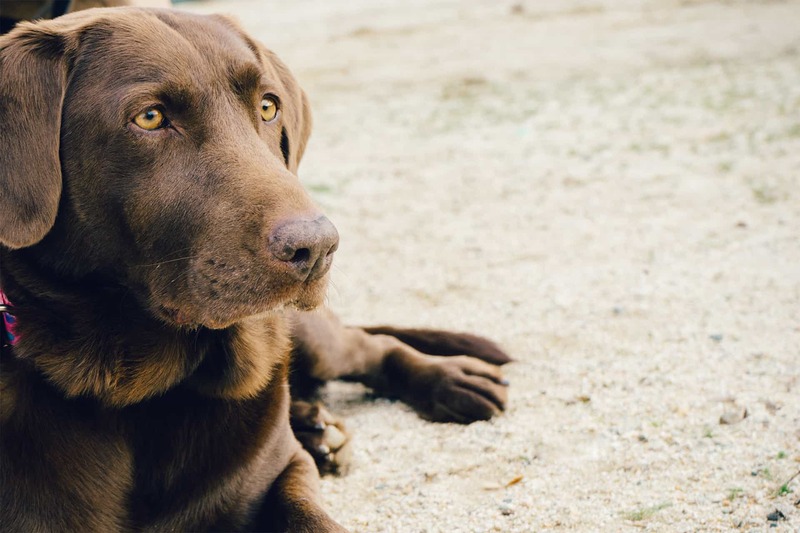 They both own specially trained labradors, named Simba and Magic, who raise alerts when either of their blood sugar levels drop towards dangerous levels. Each of their stories were amazing to hear first hand, and will both be the focus of an Oscar & Hooch case study in the coming months. 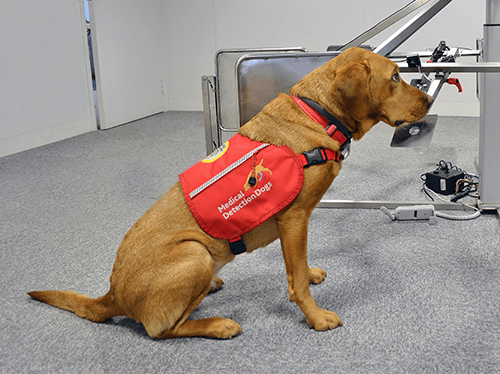 Known as medical alert assistance dogs, labradors like Simba and Magic use their extraordinarily sensitive sense of smell to detect odour changes associated with a drop in blood sugar levels. This can be transformative for people who live with Type 1 diabetes. These dogs have also learned to bring their owner necessary medical supplies, such as blood testing and glucose kits. In addition, they can also be trained to push alarm buttons if their owner needs medical assistance. The cost to train a medical alert assistance dog is approximately £11,200, and then around £750 each year for ongoing support. 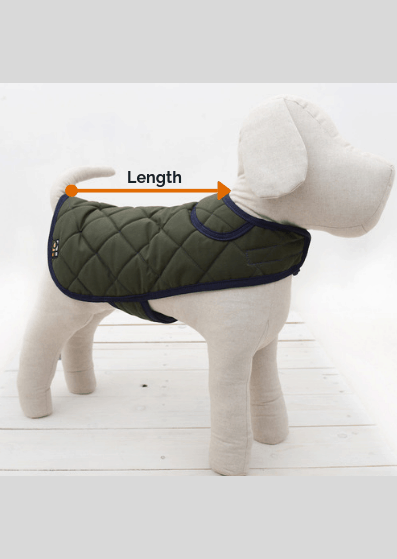 These dogs can also raise alerts for serious medical issues, such as narcolepsy, Addisonian crisis, pain seizures and severe allergic reactions. In addition, Medical Detection Dogs are starting to investigate the potential diagnosis of human breast cancer from a breath sample – this could save thousands of lives by helping revolutionise the screening of breast cancer in the future. The breast cancer project will cost in the region of £144,288. Public donations are critical to this project’s ongoing success. To find out more about the incredible work of Medical Detection Dogs, please visit their website and pledge your support.